Utah State Parks have some of the darkest night skies in North America. 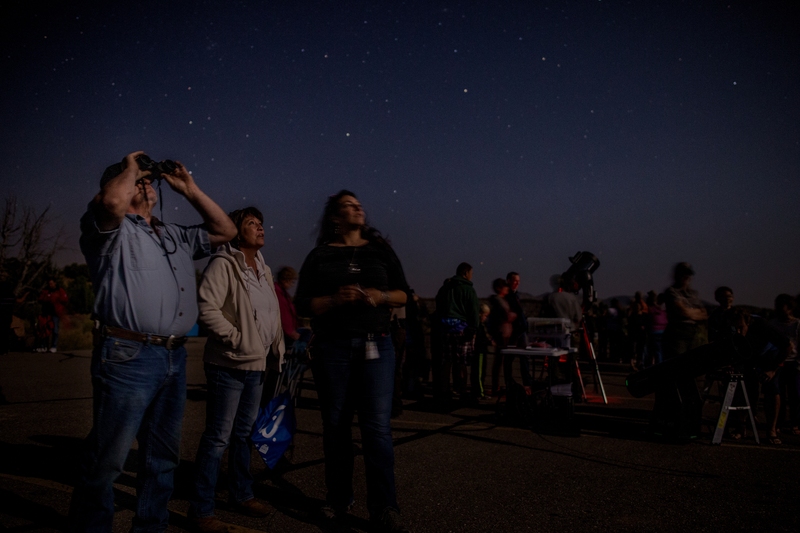 An ever-increasing number of our visitors appreciate and seek out the pristine night skies and after-dark programming we offer. Our parks employees want to responsibly manage and enhance this resource. To keep you all engaged, check out the dark sky programs below! Join a park ranger for an evening stroll across the expanse of Silver Sands Beach. The walk will begin at sunset, and we will watch as the full moon rises over the Wasatch Mountains and casts its reflection over the Great Salt Lake. During the walk, you will hear strange stories of the lake from times past, some true, others merely being tall tales. Meet at the observation point just past the visitor center at 8:00 pm. The walk will consist of approximately 1/2 mile along relatively flat terrain. Flashlights are recommended, though we will keep them off for much of the time. While the event is free, we do still ask that everyone pay the $3.00 (per vehicle) entry fee to the park. Dogs are welcome.